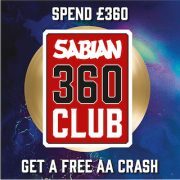 Home » Sabian 360 Club – Get a FREE* 16″ AA X-Plosion Crash! 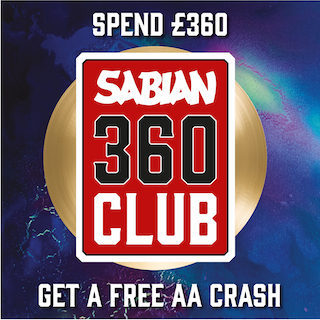 Sabian 360 Club – Get a FREE* 16″ AA X-Plosion Crash! Sabian UK are giving YOU the chance to claim a FREE* 16″ AA X-Plosion Crash. Great eh? In order to be eligible to claim your free* cymbal, you have to spend a minimum of £360 on individual cymbals and/or accessories from any Sabian range (box sets are not included). This is a limited edition cymbal and once you’re part of the Sabian 360 Club, you can enjoy the glorious sounds of your free* 16″ AA X-Plosion Crash! Limited stock special offer period from 14/10/17 to 31/12/17 or while free product stock lasts, whichever is soonest. Westside Distribution Ltd reserves the right to extend or close the promotion at any time in line with stock availability. 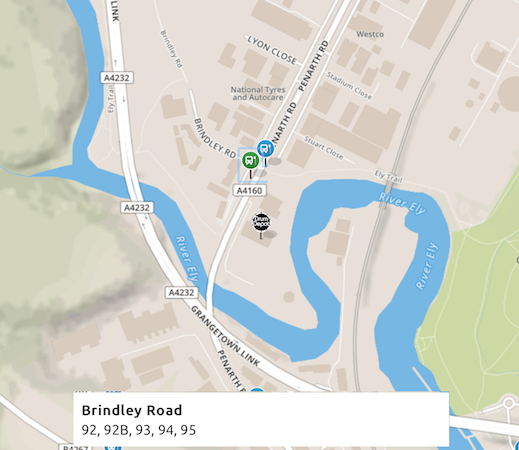 https://www.drumdepot.co.uk/wp-content/uploads/2017/10/SABIAN360CLUB_INSTA-01.jpg 320 320 https://www.drumdepot.co.uk/wp-content/uploads/2017/09/dd-logo.png 2017-10-16 13:34:022017-10-16 13:34:02Sabian 360 Club - Get a FREE* 16" AA X-Plosion Crash!